Better Way Auto Transport is proud to be able to offer car transport made easy. They understand that the rises in gas prices make driving your car a significant expense when relocating. Luckily they provide a "better way" for you to relocate your vehicle with simple auto transport service that saves you time and money, is safe, and most importantly, easy. Better Way ships automobiles, motorhomes, RV's, boats, motorcycles, caravans and ATV's. They offer first class service and courteous customer service. Find a Better Way to transport your vehicle. 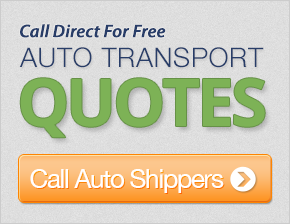 Get a free auto shipping quote now & save! Everyone was very helpful and nice to work with. My car was brought from one coast to the other in a very timely manner: 5 days. I could not have had a better experience. Thanks to everyone! Customer service was extremely professional and helpful. Thanks so much! Your service was exceptional. It was worth paying extra. Thanks! They were very professional, and she answered all questions and everything that was promised was done. The driver was very patient and cooperative. I appreciated that very much. I would recommend the company to anyone. Will suggest your company to all. Pick-up was several days off the estimate, but delivery was prompt! The entire process was great from start to finish. I will certainly recommend your services in the future. The service was great, as was the price. I would love to keep using you guys and I will recommend you to all of my travel nurse friends. Thanks! Our rep was very responsive and helpful. The driver is also friendly and courteous. Thank you so very much for taking such good care of my baby.